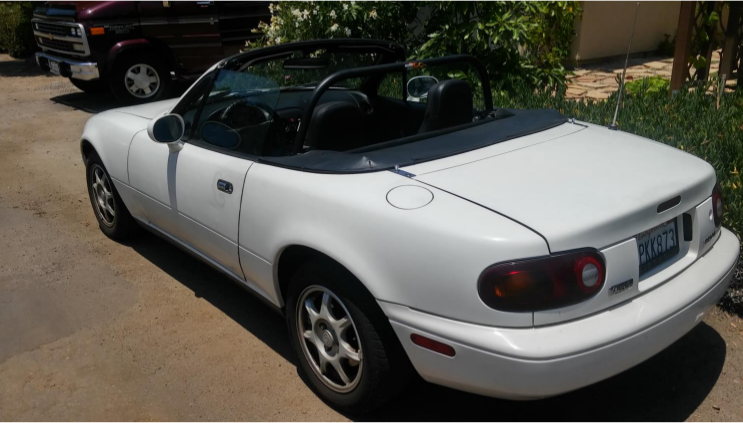 I have had 20 years of fun top-down driving in Mazda’s original two-seater roadster. 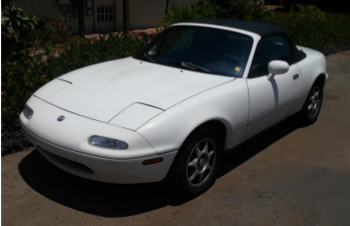 I have recently succumbed to temptation and bought a 2016 MX5 ND so it is now time to say goodbye to my favorite car. 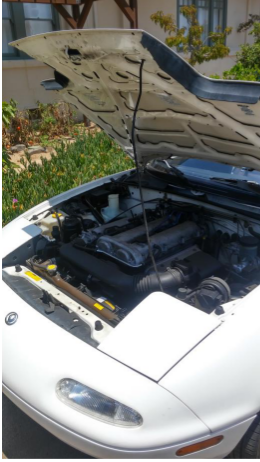 The car has been driven only an average of 7,500 miles per year and maintained continuously. 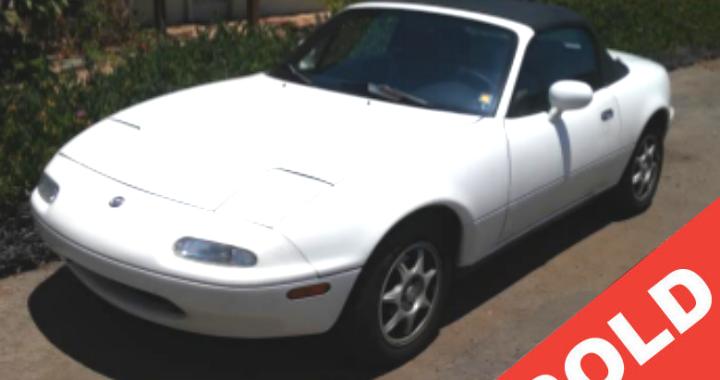 It has an added roll-bar, and a new top with the glass rear window. 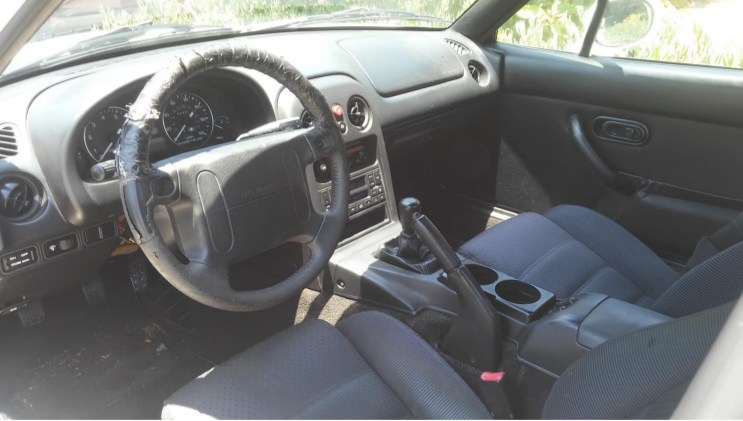 This model has power windows, power side mirrors, cruise control, AC, airbags, wheel locks, and the classic popup headlights. However, the AC has not been used in years. The AM/FM radio and cassette player still work well. 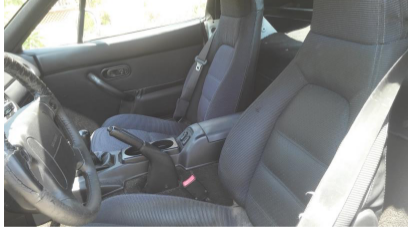 There is some normal wear on the fabric seats and the steering wheel needs a new cover. All licensing, insurance, and smog checks are current. A detailed Vehicle History Report is available upon request.